I’ve spent the better part of the last month researching the iconic South American brandy known as Pisco. Unfortunately, most of my work has revolved around books and the internet instead of a shot glass. Suffice it to say, there is a lot of conflicting information and historical turf wars going on surrounding Pisco. But, I’ve discovered the official government websites and culled information from dozens of producers, so here is my article on Pisco!! 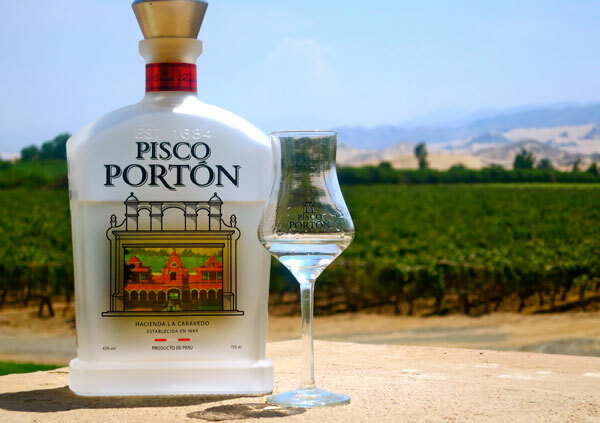 Pisco has been produced in South America since at least as early as the 1700s, and is thought to have originated with Spanish settlers who brought their technology and traditions of wine production to the New World. Brandy is widely produced in South America, although Chile and Peru are the only two countries permitted to use the term “Pisco.” As of May 16, 2013, the TTB (Trade and Tax Bureau) of the United States recognized “Pisco Perú” as a distinctive product of Peru, and “Pisco Chileno” as a distinctive product of Chile. The birthplace of Pisco, the origin of the name “Pisco,” and even the right to use the term as the name of a beverage is a subject that has long been, and continues to be, hotly debated between Peru and Chile. While the debate rages on, one thing both countries seem to agree on is that an excellent way to drink Pisco is in the popular cocktail known as the Pisco Sour. The Pisco Sour is considered the “national drink” of both Chile and Peru, and each country even has a national holiday with which to celebrate it. However, both countries claim to be the birthplace of the cocktail, and, like Pisco itself, both have their own version. The Peruvian Pisco Sour is made by mixing Peruvian Pisco with lime juice, simple syrup, and egg white, shaken and served over ice, and garnished with a dash of Angostura bitters. The Chilean version is made with Chilean Pisco, the juice of Pica Limes (similar to a Key Lime or Mexican Lime), and sugar, shaken and served over with ice. Chilean Pisco: Chilean Pisco is produced in the Atacama and Coquimbo regions, two official D.O. (Denomination of Origin) wine-producing regions established in 1931. The Elqui Valley subregion of Coquimbo has emerged as the premier Pisco zone. The government-based Pisco Chile trade group was formed in 2009 and has set new standards for Chilean Pisco. The main grapes used for making Chilean Pisco include Pink Muscat, Muscat of Alexandria, Pedro Jiménez, and Torontél. While Chilean Pisco is traditionally a pomace brandy, some versions are produced using wine. Chilean Pisco is generally double-distilled via pot stills to a maximum strength of 73% alcohol by volume. All Chilean Pisco must rest for a minimum of 60 days before bottling, however, unlike Peruvian Pisco, Chilean Pisco is sometimes aged in wood. Chilean Pisco is sometimes diluted with water, or cut with neutral spirits to alter the final alcohol content by volume. 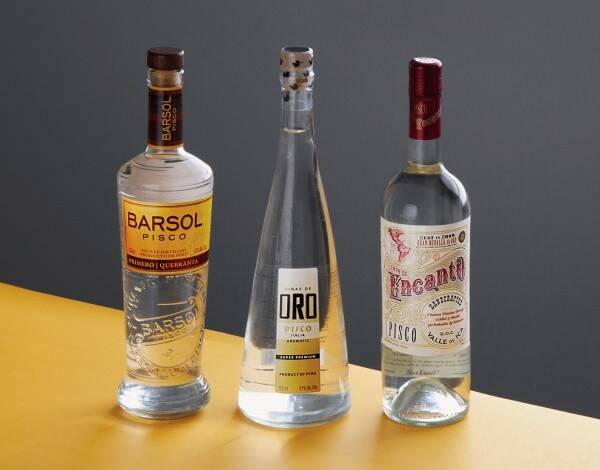 The products are categorized, based on its minimum alcohol strength by volume, as Pisco Corriente or Tradicional (30%), Pisco Especial (35%), Pisco Reservado (40%), or Gran Pisco (43%). The minimum alcohol by volume is 40% for those products exported to the United States. Pisco de Guarda: Aged in active French or American oak for a minimum of 180 days. Pisco Envejecido (Aged Pisco): Aged in active French or American oak for one year, though most producers age for two or more. Peruvian Pisco: According to the Denominación de Origen, Pisco may be produced in the Peruvian departments of Lima, Ica, Arequipa, and Moquegua, as well as the valleys of Locumba, Sama, and Caplina in the Department of Tacna. There are eight grape varieties authorized for use, categorized as “aromatic” and “non-aromatic.” The aromatic varieties are Italia, Moscatel, Albilla and Torontél; and the non-aromatic varieties include Quebranta, Negra Criolla, and Mollar. Peruvian Pisco is produced via pot still distillation. Peruvian Pisco is unique in that it must be bottled at the same level of alcohol as when it was produced: additives of any kind – including water and neutral spirits – are prohibited, so the distillation must be precise. Per the regulations of the governing body, the Comisión Nacional del Pisco of Perú, the alcohol percentage must be between 38 and 48 percent. 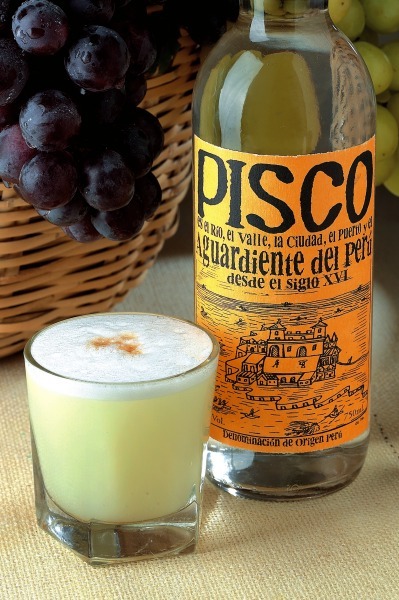 Pisco Puro (“Pure” Pisco): A Pisco made from a single grape variety. Pisco Acholado (“Blended Pisco): A Pisco produced with more than one grape variety, generally referring to a blend of aromatic and non-aromatic varieties, or product made with several different types of Pisco blended together. Pisco Mosto Verde (“Green Must Pisco”): Produced via the distillation of partially fermented grape musts before the fermentation is complete.